The intersection at Brown Street and Angell Street on College Hill has long been a three way stop between the unidirectional Angell Street and the bidirectional Brown Street, with the prominent pedestrian intersection there benefiting. Last week, the stop signs on the Angell side were removed and a new traffic light East of the intersection between Thayer and Brown was activated where Brown’s new campus “greenway” walk is located. The problem is that you have legions of Brown students who are still naively strolling into that intersection without a care in the world, expecting that traffic will stop for them as they always have, now shocking drivers unfamiliar with the old ways. You also have generations of drivers trained to stop at that intersection, and I’ve seen more than one motorist reflexively stopping at the junction and get nearly rear-ended by someone clueless as to why a car would be rapidly coming to a halt somewhere without any signage or pedestrians visible. While everyone will learn eventually how the new intersection works, I just hope there are no injuries in the interim. Perhaps there should be some temporary “Traffic does not stop” signs there for a while to train pedestrians and motorists. What’s driving me crazy is that the lights are all freely timed. If you’re going to put three sets of traffic lights over two blocks of a one-way road, you need to -time- the lights to allow drivers to sail through them at the speed limit. Traffic has been backed-up like ‘what’ in that area since the lights went operational. There’s a tradeoff between ‘responsiveness’ and ‘bandwidth’ of a road like this, you can have well-timed lights that allow cars through easier, but you have to time the lights and pedestrian crossings, not use those stupid little ‘push to cross’ buttons. I have to say though, that the proliferation of stop signs, traffic lights, and ‘bump-outs’ on the East Side over the past three years has severely impacted traffic. I’m a pedestrian too, and I can’t say it’s any better than it was ten years ago, I’ve never felt like we had a problem with traffic safety. If anything, now I have to navigate around with lines of cars filled with angry drivers, before it used to just be the occasional jerk. The crossing signals at the Brown Walk are a bit of a joke. Most afternoons Brown PD has a cop standing out there directing traffic because as we all know, Brown kids have a tendency to wander blindly into traffic. I think the Brown Walk crosswalks would have worked better and cost less as raised crosswalks without the lights. And Brown should do an outreach campaign to learn their kids not to wander into traffic. I completely agree that the East Side “traffic calming” measures have only served to infuriate drivers, not change things for pedestrians, and only served to calm roadwork companies at tax payer expense. Another head-scratching traffic move at Brown is that I have no idea why they made Euclid Ave between Thayer and Brown Street one way Westward as of about 2 or 3 weeks ago, which is very annoying, making navigating that Brown/Angell intersection the only way to move to Waterman Street eastward. Removing long standing traffic controls is a major problems in many cities today. I agree that the ped light is just plain stupid. Typical approach by short-sighted politicians and the like that have no traffic engineering or planning experience. A raised crosswalk with bumpouts would have been much better at that location. 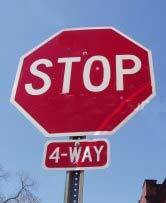 The city also needs to stop using stop signs as traffic calming devices. Physical alterations to the road such as narrowing, bumpouts, etc., have proven much more effective than unwarranted stop signs and signals.